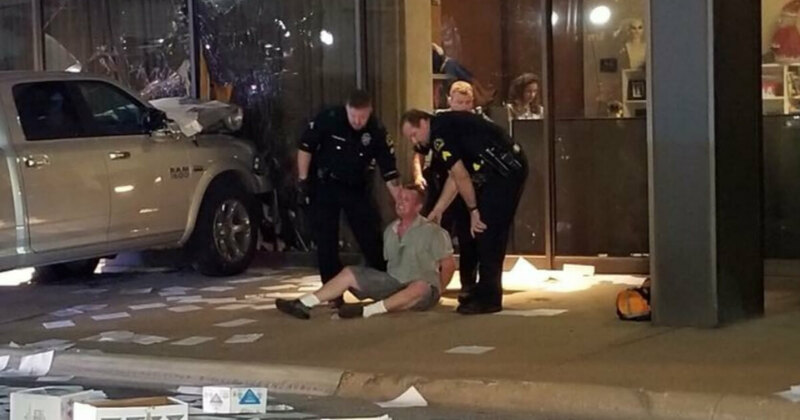 A man rammed a pickup truck into the offices of KDFW-TV, a Fox-owned television station in Dallas, on Wednesday morning before he got out of his vehicle and ranted about treason. The story is being chronicled in a series of tweets from the station and local reporters. Dallas police received a call regarding the crash and rushed to the 400 block of N. Griffin Street at around 6:15 a.m. The driver of the Dodge Ram vehicle is currently in custody, according to tweets from the station’s news department. “A man crashed a truck into the side of our building this morning. He jumped out and started ranting,” according to initial reports from KDFW news. The man appeared to be holding a paper with illegible writing to the window. The suspect also appeared to be holding several other pages of paper in his other hand.